Since the project’s early days, we on #teampeirs have been hearing questions about what will happen after the centenary of the Armistice on 11 November 2018. Our short answer is that our collection of Jack’s letters continues into July of 1919, so we’ll continue posting new content until then. There is so much to discuss about the months and years following the war that we don’t foresee an end to our project, and we’re still coming up with new ideas as we continue to explore and get to know the collection even better. Jack himself lived until 1943, and while I will be surprised if you are hearing from us in this capacity in 25 years, I know that I will still think of him and the rest of the 8th Queens every day until and after 2043. I think that, in a very small way, this simple act of thought will constitute a success for our project. It seems to me that there has been such a rush to remembrance as we approach the conclusion of the centenary of the war. As 11 November creeps closer, there has been an uptick in art installations, exhibits, events, publications, lectures, and the like, as though we worry that we have not done enough to remember over the past four years (I know I do). 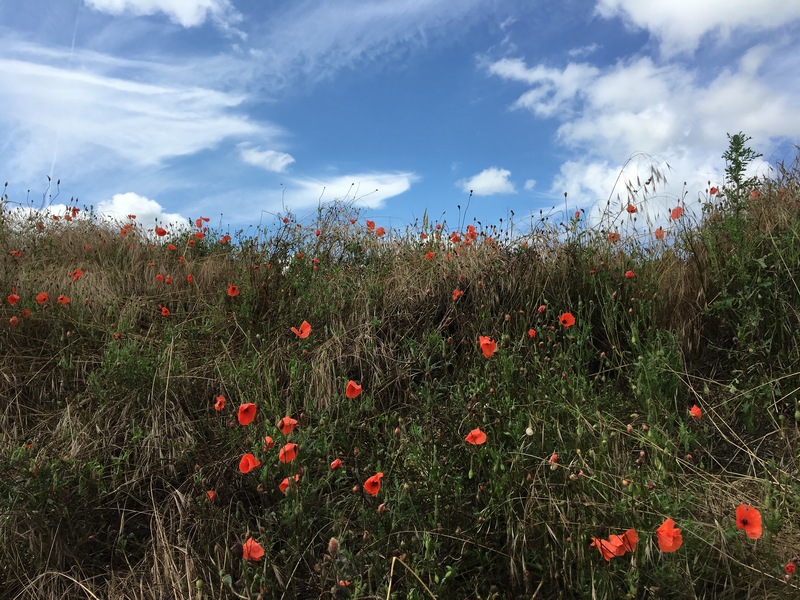 There will be commemorative services for the anniversary of the Armistice, as is only natural and appropriate – and then what? The story of the war and its soldiers did not and does not end on 11 November, and these stories won’t stop being relevant in a month’s time. No matter the date, why not remember what happened on 12 November 1918, or 1 January 1919, or 15 May 1925? 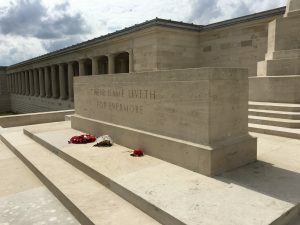 Why is the hundredth anniversary of the Battle of Loos more significant than the hundred and fourth, or hundred and tenth, or any day in between? I understand that anniversaries present occasions for commemoration, serving as points around which we can focus our efforts – they give us a starting point, an easily defined purpose, they draw increased attention and result in increased accessibility of a memory, a noble and essential function of what we are trying to do here. At the same time, I see a distinction between commemoration and remembrance; where commemoration is focused, notable, and structured, remembrance is constant, spontaneous, and effortless. At first, I had intended to write about remembering the anniversary of the beginning of the Hundred Days’ Offensive, to reflect on how unbelievable it seems that the centenary is almost at its conclusion, and to comment on how far away 28 June 2014 feels, not to mention 28 June 1914. However I find this kind of commemoration less relevant than I had previously thought. To me, this is the remembrance of the First World War, at the going down of the sun and in the morning. Their name liveth for evermore. This entry was posted in Commentary on October 19, 2018 by Jenna Fleming.